When developing this blade with Welch Allyn in 1941, Dr. Miller was attempting to overcome four major shortcomings of existing straight blades. First, was the height of the proximal portion of the blade, which he reduced by compressing the €œC€ shaped cross-section into a modified €œD€ shape. This change helped to prevent dental trauma and allowed intubation of patients with small oral openings. 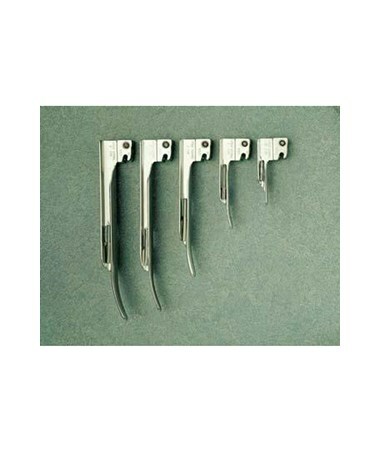 Second, because most blades were curved distally only at the tip, they did not facilitate lifting of the epiglottis. This problem was solved by starting the curve two inches back from the tip providing a positive lifting action. Third, existing blade styles were wide distally; this limited the manageability of the instrument, prohibiting intubation. Therefore, the Miller blade was designed with a narrow tip. Finally, the tongue or base of the Miller blade was rounded to prevent pushing the tongue into the floor of the mouth. 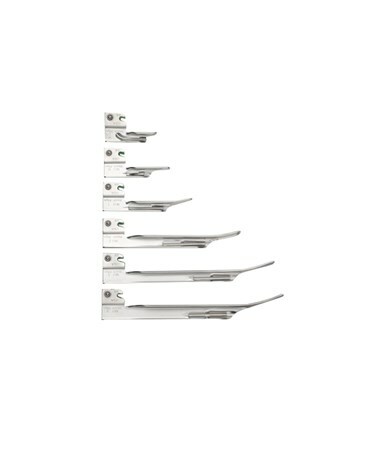 In 1990, Welch Allyn modified the Miller blade to improve its functionality and field of view. First, the blade or tongue of the blade was flattened so that the tongue would be swept aside, rather than compressed. This was implemented due to the present technique of sweeping the tongue rather than compressing. The flat base helps to hold the tongue out of the field of view. Overall field of view was increased by modifying the cross-sectional area of the blade without altering width or height. 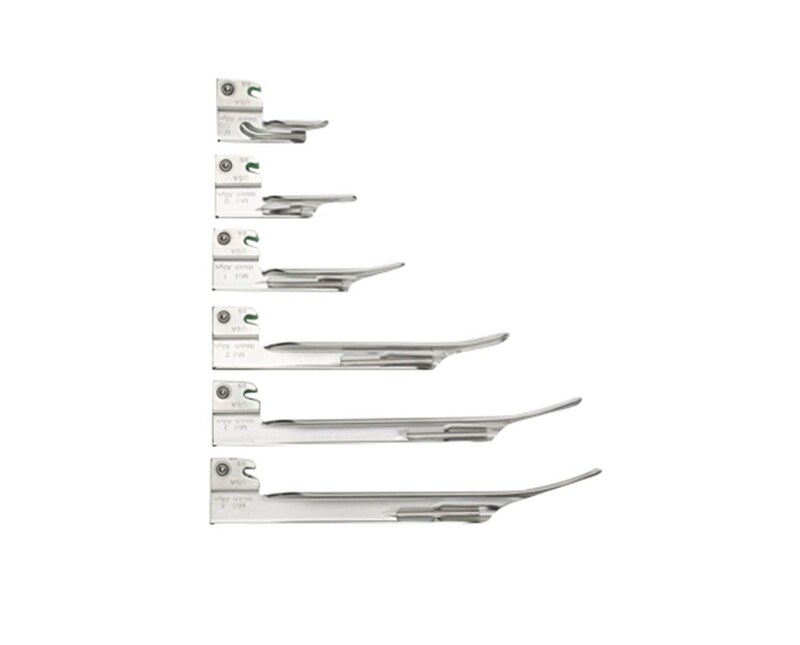 The Fiber Optic Miller Halogen Laryngoscope is available in sizes, 0, 1, 2, 3, 4. Singlepiece stainless steel blade ensures blade integrity (no soldered joints). 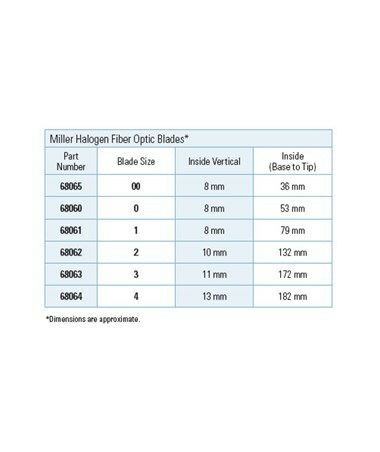 Welch Allyn fiber optic blades feature Halogen HPX lamps for true tissue color and consistent, long-lasting illumination.